Your immune system is powerful on its own, and even more impressive with the tools that surround it. Understanding the secrets of the immune system will paint a complete picture of what takes place inside your body to keep you healthy. Know this—your immune system anatomy is perfectly poised to neutralize threats to maintain health. Explore the parts of your anatomy that work hand-in-hand with your immune cells to maintain your health. And learn the secrets of the immune system. Your genes, bone marrow, gut, and skin assist the cells of your immune system in protecting you. From smallest to largest, these helpers offer the support your immune system needs to keep you on your feet. The secrets of the immune system start where all your traits do—your genetic code. When it comes to adaptive immunity (the part of your immune system that changes over time), genes play a central role. 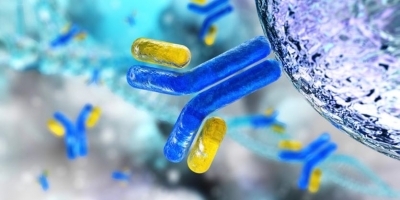 Through a group of genes called the major histocompatibility complex (MHC), the adaptive immune system catalogs information about what enters your body. It remembers what your body’s seen before and instructs white blood cells in a proper, healthy immune response. 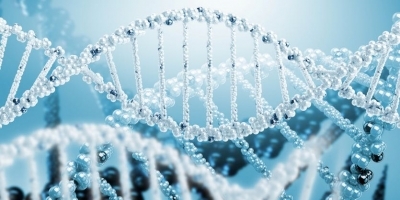 MHC is a genetic code that is unique to every individual. Through this code, proteins on the surface of cells are created in response to stimulus by potential pathogens. When a germ is consumed and broken down by macrophages (a type of white blood cell), surface proteins are made. These MHC proteins are then stitched together with fragments of the destroyed pathogen and presented to the cells of the adaptive immune system. Those pieces of the destroyed pathogen help your immune cells remember. Now adaptive immunity cells like B and T cells know what to do when the same invader shows up again. MHC proteins have flagged that microbe and made it a target of a future, healthy immune response. With instructions to divide and conquer, adaptive immunity cells can multiply and attack next time the germ is detected in the body. The genes that control the MHC make your immune system efficient and effective. MHC keeps antibody production under control, only creating antibodies after the first exposure to a germ. So, your immune system can divert all its attention to unique and novel potential pathogens, noting each in its genetic memory. The thick gel on the inside of your bones is called marrow. It does a lot of work for your immune system that you may never see. So, it’s hiding some secrets of the immune system. Bone marrow is an organ that manufactures blood cells (the big science word for that is hematopoietic). Red and white blood cells get their start in bone marrow. Other powerful immune system players do, too. There are two kinds of bone marrow in your body—red and yellow. Your yellow marrow is a precursor to the red marrow. It’s held in reserve to replenish stores of red marrow should significant blood loss occur. The role of these white blood cells in immune health is a popular topic—and you can find more in this immune system overview. But bone marrow produces other cells that work alongside these cellular giants. Scientific research points to red marrow as the origin of natural killer cells and dendritic cells. Natural killer cells are also types of lymphocytes (white blood cells) that are close relatives of T and B cells. They can help protect you without priming antibodies. Dendritic cells act as immune-system messengers, tying your innate (the immune system you’re born with) and adaptive immunity together. They occur in the skin and digestive tract, and send messages to T cells. 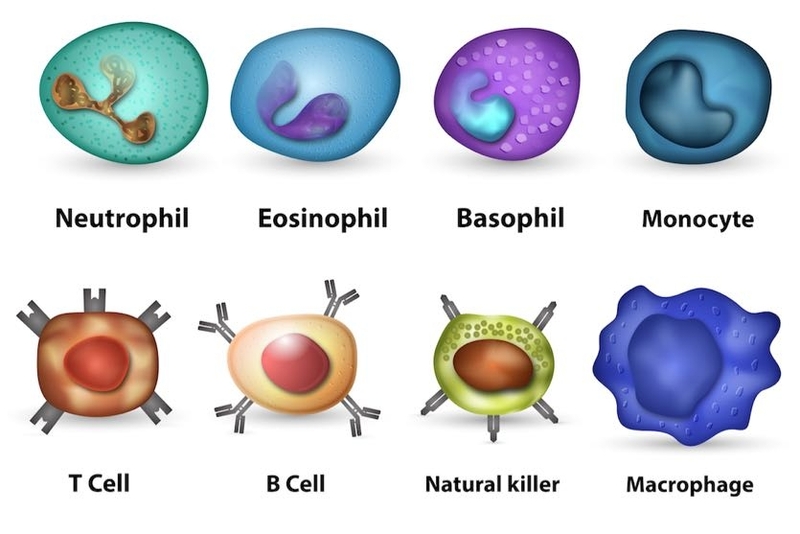 There’s also a symphony of cellular communication going on in your bone marrow between all these developing and mature immune cells. So, your bone marrow is a buzzing central hub of activity for your immune protection. Since bone marrow is so important to immunity, protecting it is imperative. Ensure you get enough vitamin D, calcium, magnesium, and other trace mineral in your diet. Take care of your bones, and they will help take care of you, too. 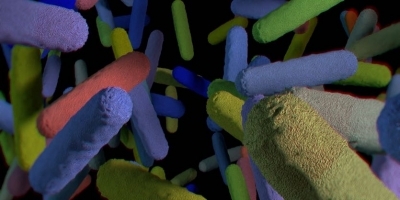 Ironic as it may seem, your gut is full of bacteria. Your intestinal bacteria reside there inconspicuously—without causing much trouble. It may seem hard to understand, but these microbes play a crucial role in your immune system. Your intestines encounter more antigens (foreign material that starts an immune response) than any other part of your body. While sifting through the plethora of microbes that reside inside, the intestinal mucosa (lining) must respond appropriately. That’s a big job for a barrier that is only one cell thick. Potentially harmful microbes that try to break through the lining are stopped dead in their tracks. The cells lining your intestines secrete proteins that recruit white blood cells to the affected area. And, as you know, white blood cells pack a punch of protection. These epithelial cells also produce anti-microbial peptides and mucus that trap bacteria. But not all bacteria pose a threat. Commensal microbes (those commonly called your gut microbiome) digest compounds and extract nutrients that your body can’t process on its own. Some intestinal bacteria also synthesize certain B vitamins and vitamin K. B vitamins, like vitamin B12, are also linked to supporting healthy immune system function. Vitamin K is an important component in maintaining the production of blood-clotting factors. The community of helpful bacteria that lives in your gut starts developing at birth. A baby’s gut microbiome is colonized by any and all microorganisms they are exposed to during the first days of life. Through dietary and environmental factors, the microbiome in your belly is further shaped. Eating foods that contain bacteria generally thought to be beneficial—like yogurt and other fermented foods—help maintain a balance of healthy bacteria in your gut. Your skin doesn’t seem like one of the secrets of the immune system. Every day you look at this barrier between your internal organs and the outside world. As the largest organ of the body, skin’s primary role is to protect you from physical danger and invasion. The first line of defense is a thick layer of dead cells. That’s right. 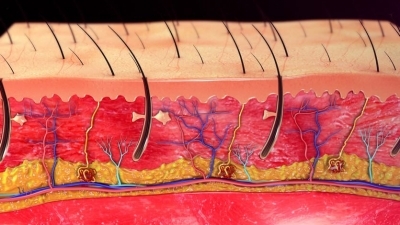 The tough, protective nature of skin is made possible by dead skin cells called keratinocytes. The name comes from the fact that these cells are brimming with a protein called keratin. It’s a protein also in hair and fingernails. Keratin is tough and is a great shield for your vulnerable internal organs. The top, dead layer isn’t all. Your skin is comprised of multiple layers of functional cells. When your skin generates new cells in the bottom layers, older cells die and are pushed to the top. When potential invaders come to make a home in your body, the top layers of dead keratinocytes block their entry. Not all of the keratinocytes in your skin are dead, though. Those that are living reside just below the surface of your skin and help your immune system in another way. Living keratinocytes produce anti-microbial proteins. This defense mechanism works alongside other immune cells to keep your body healthy. Inevitably, your skin gets wounded. Nicks and cuts, though harmless overall, open the door to the outside world. Luckily, your skin is equipped to handle just this sort of issue. Without hesitation, an army of cells with specific tasks line up to seal the breach. Scabs are the common term for hemostasis (the stopping a flow of blood). They are created when platelets (blood cells that form clots) surround the wound and start clotting. While clotting and forming a temporary cover over the broken skin, platelets request help from other immune cells via chemical signaling. White blood cells—like neutrophils and macrophages—join the wound-healing effort after being recruited by platelets. These immune cells help protect the damaged skin. Then they pick up debris from the affected area and lay the groundwork for normal, healthy cell growth and division. Immune cells ensure that your skin has a clean slate on which it can build new, healthy tissue. Without a secure barrier surrounding your body, you’re left unprotected. Good thing your skin is there to ward off unwanted guests. That’s why skin is a remarkable, dynamic organ that supports a powerful immune system. It’s true that your immune system is unique to you. Everyone has the same basic foundation of immunity, but your experiences define how your body responds. 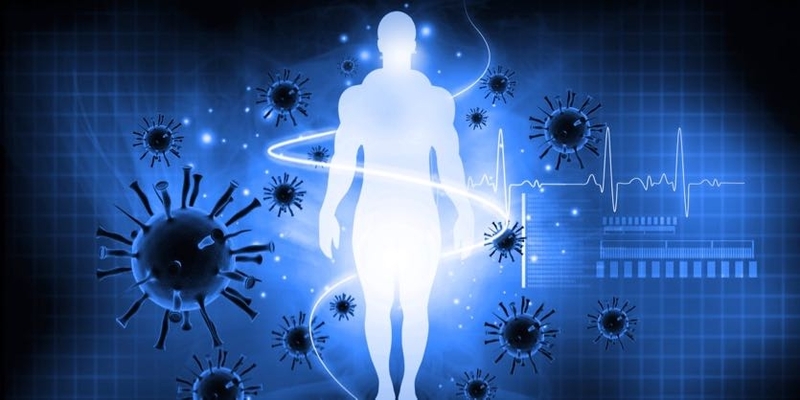 Your immune system is constantly learning and adapting. Each time it comes in contact with something new, it creates new defenses that are filed away for next time, too. Your job is to provide a safe environment for your immune system in which to thrive. Washing your hands, getting adequate sleep, and practicing good personal hygiene will help keep your immunity in shape. Also take care of your body by eating a healthy, nutrient-filled diet and living a healthy lifestyle. Support your immune system so it can be ready to defend you.